The AA is receiving increasing numbers of reports of customers whose catalytic converter and or fuel has been stolen, often with additional damage caused to the vehicle and its bodywork. Thieves are adding to the misery of sky-high motoring costs by stealing catalytic converters and fuel from parked cars - often causing expensive damage in the process, according to AA Insurance. Catalytic converters, which contain precious metals, are each worth around £60 to thieves who send them for specialist processing overseas. 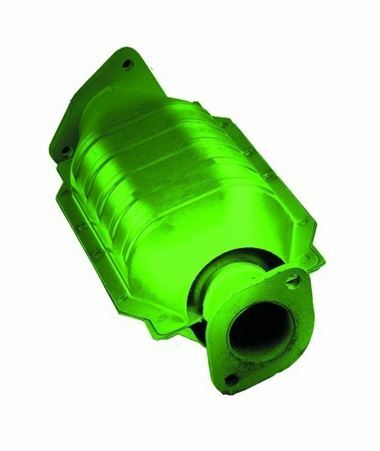 The converter forms part of the exhaust system, so thieves either jack the car up or target vehicles with a high ground clearance such as 4x4s or trucks, in order to remove it. Several cars may be attacked at one time. Similarly, AA Insurance is reporting claims where thieves have damaged cars while attempting to steal fuel, leaving owners facing not just the loss of a perhaps £100 worth of petrol or diesel but the cost of repairing fuel systems and car bodywork as well as the loss of their excess and possibly no claim bonus, if an insurance claim is made. "This is a new crime causing resulting from high fuel and scrap metal values. It causes considerable inconvenience and expense for innocent motorists," says Simon Douglas, director of AA Insurance. "Thieves work quickly and carelessly, sometimes causing hundreds of pounds worth of damage. "Catalytic converters cost between £200 and £2,000 to replace, including labour cost, quite apart from repair of damage to bodywork That could cost several hundred pounds more to repair. * Have your catalytic converter permanently marked so that it can be traced back to the car if it is removed; this will help police to prosecute thieves. Many car dealers offer a marking service. * Consider fitting your car with a security device that is sensitive to movement of the vehicle. Such an alarm could also gain an insurance premium discount. * Try to park in well lit, secure and busy car parks: look for 'Park Mark' scheme members. It's worth spending a little extra to benefit from car parks that have security such as staff or cctv. * Keep your car in your garage, if you've got one: this can bring an Insurance discount. * If your catalytic converter has been stolen your car will make an Incredibly loud noise when the engine is started. Don't attempt to drive - the exhaust pipe may be left dragging on the ground which could cause further damage. * If your car has been left for a long time, it's always worth having a brief check around it, particularly looking to see if the bodywork or fuel cap has been tampered with. And if your fuel gauge registers empty (even though you may have recently filled up) there's a risk that the car may splutter to a halt at an inconvenient or dangerous location. * Report the theft to police. * If you are a member, call the AA who will assist. AA Insurance: tel 0800 107 0680; AA Roadside Assistance: tel 0800 085 2721.